Dana Estate (pronounced da-nuh) is a fairly new winery to the Napa Valley however it occupies an estate with a long history. 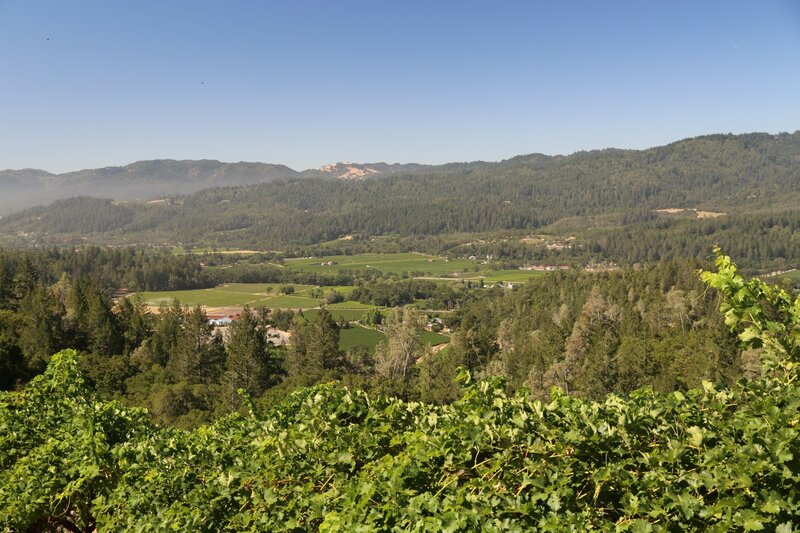 Dana Estates is located in the heart of Rutherford on benchland just above the valley floor and is nestled against the Mayacamas Mountains. The site is home to a ghost winery (typically stone wineries built before prohibition) that was built by a German immigrant in 1883. The winery is owned by South Korean businessman Hi Sang Lee. Mr. Lee has been an avid wine collector and enthusiast for many years and in South Korea founded a fine wine distribution company (Nara Food Company). 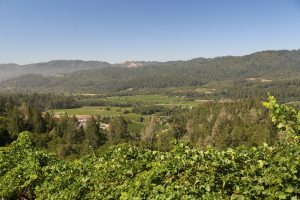 He has long held an appreciation of Napa Valley, especially for Cabernet Sauvignon. Mr. Lee’s passion for Napa wine has strongly influenced the luxury and cult wine market in Korea. 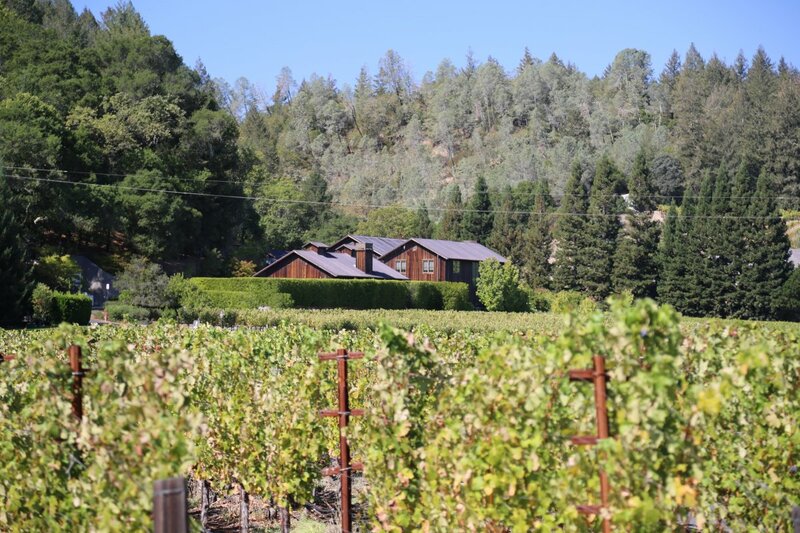 He was influenced and introduced to Napa by the late Tom Shelton (former President and CEO of Joseph Phelps). 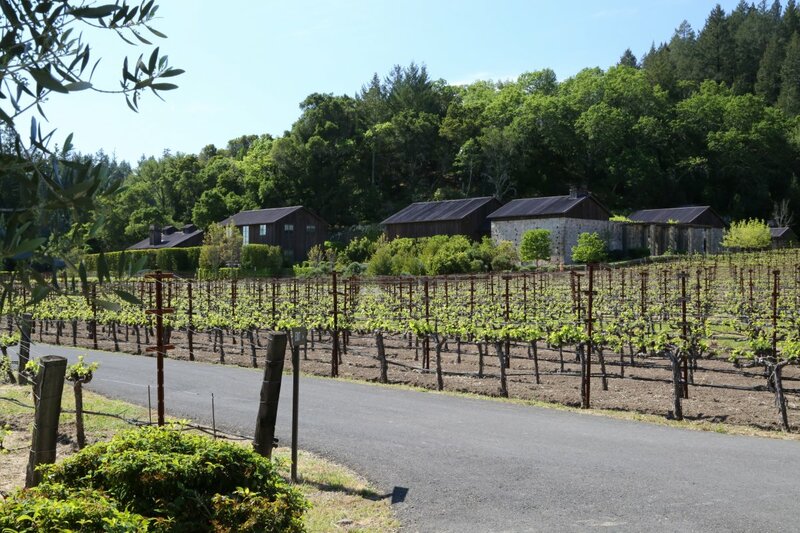 Trips to Napa became more frequent and in 2005 Mr. Lee purchased the old Livingston-Moffet Winery from John and Diane Livingston with the intent to produce premium wines reflective of their location. At the time of his purchase the old ghost winery was crumbling and only parts of 4 walls were standing. Mr. Lee hired well known architect, Howard Backen, the man responsible for designing Harlan Estate, Poetry Inn, Robert Redford’s Sundance Institute in Utah and a number of prominent International designs. What a difference several years makes. After all the renovations, today the old ghost winery is now state of the art and has been restored to a modern sophisticated elegance blended with function. The architecture incorporates very well a sense of history and place into this old winery. This is a “winemaker’s winery” and is setup entirely with their vineyards and small lots in mind. Unlike all other Napa wineries we have visited to date, stainless steel tanks are nowhere to be found – they are not used for fermentations. Two separate tank rooms contain customized concrete and wooden tanks. The well-regarded Philippe Melka, a humble star in the Napa Valley has been the consulting winemaker since day 1 and he also had significant input during the design and construction phase. With his expertise in the vineyards including geology, the wine making and his blending mastery, he is much sought after in the Napa Valley. The estate is 30 acres of which 6 are currently planted to vine. 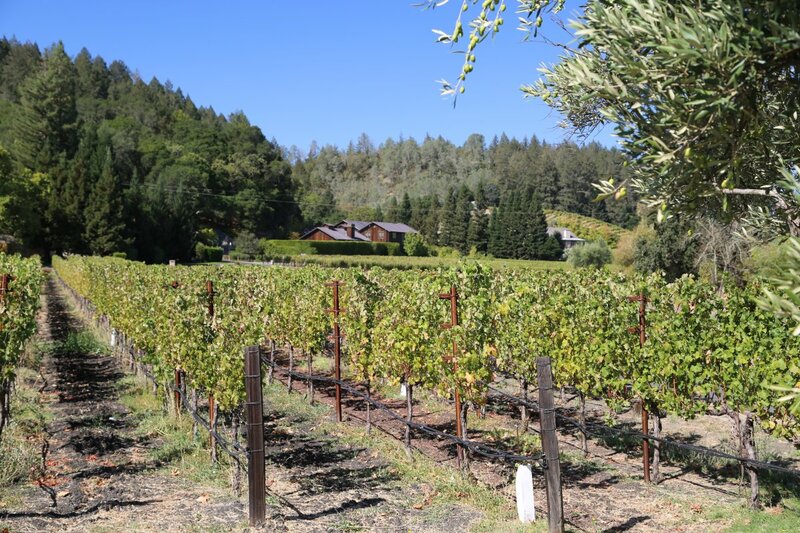 In addition to their Rutherford property they also own two distinct vineyards on Howell Mountain, the Hershey and Lotus Vineyards. 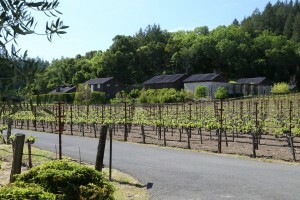 The Helms Vineyard is their estate vineyard which surrounds the winery. 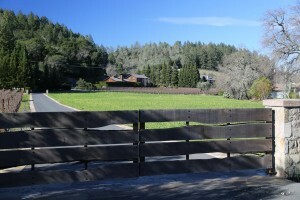 This vineyard sits on Rutherford benchland so that it is not entirely on the valley floor yet it is not directly part of the Maycamas mountains either. It is a raised section of land on the western side of the Rutherford appellation that has formed during millions of years through erosion. As a result, these soils are composed of both gravel and loam and provide excellent drainage. Their vineyards are all farmed organically and attention to detail is such that the vineyards are farmed vine by vine based on their individual needs. 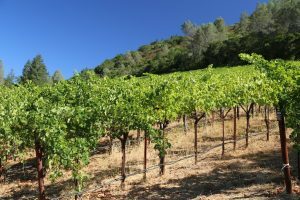 Productions are also low especially from their hillside vineyards – usually under 2 tons per acre. 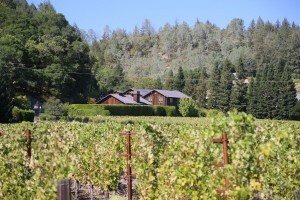 Dana Estates presently focuses their winemaking efforts on producing three unique wines, a single 100% Cabernet Sauvignon from each of their 3 vineyards. Production will remain small. Their first few vintages in total are under 500 cases; each wine is produced in very limited quantities. During a recent visit to the winery we had the privilege to taste the 2006 Helms and 2006 Lotus vintages. Both wines are 100% Cabernet Sauvignon and were aged in 100% new French Oak. The 2006 Helms Cabernet Sauvignon is dark ruby in color with a sophisticated elegant bouquet that shows enticing aromas of spice intermingled with red and dark fruits as well as a pleasing floral characteristic. The palate expresses layers of flavor tending more towards dark fruit including black cherry and black currant. The finish shows dustiness with broad sweet tannins and lingers beautifully on the palate for some time. This is a rare wine that shows both elegance and power. 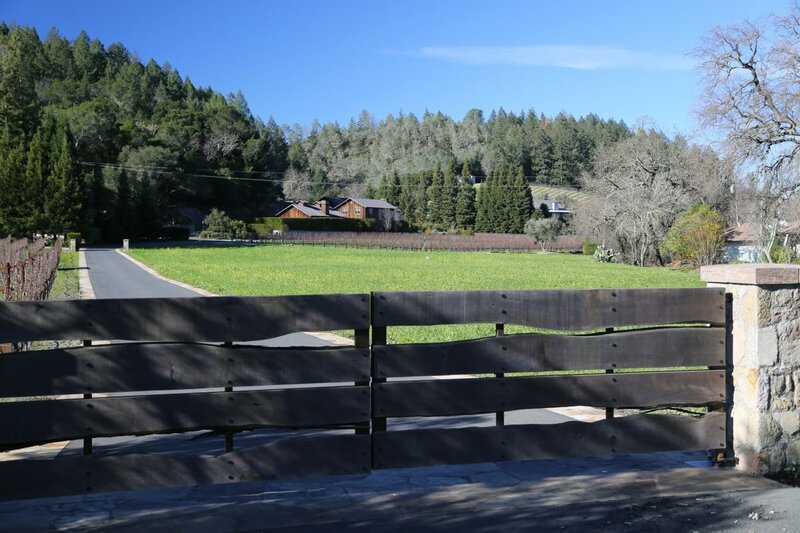 Photos to the right are of the Lotus Vineyard on the west facing slopes of the Vaca Mountains off of North Crystal Springs Road. The 2006 Lotus is a big dark mountain grown wine that delivers an unbridled richness in the nose and on the palate. Aromatically the bouquet is quite appealing – it is complex “candy store” showing black licorice, baking spices, black fig and other notes of black fruit. This superb richness carries to the palate with dark fruit including more black licorice, black cherry and blackberry. Hints of mineralities and earthiness also show. These complexities of flavor lead to a big finish with broad structured tannins. Again this wine has a super long satisfying finish. 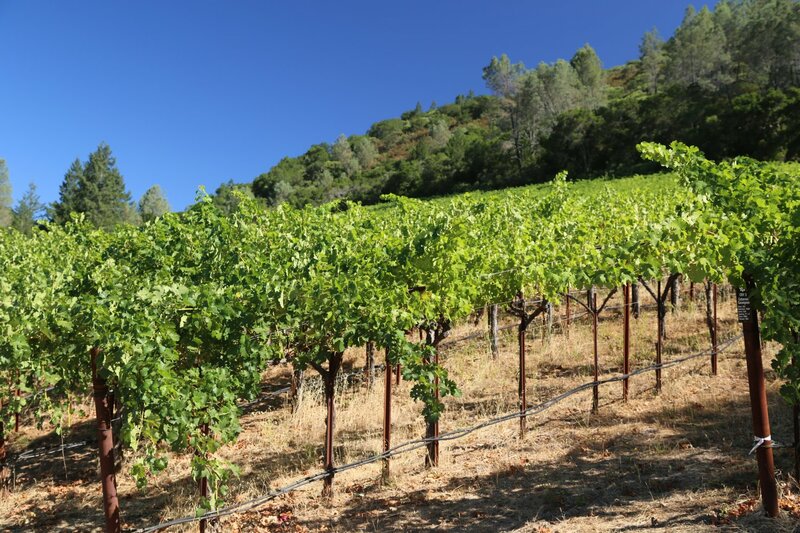 The wines of Dana Estate are superbly hand-crafted with their terroir or location in mind. These are wines that will appeal to serious wine enthusiasts and collectors. Their wines have the power to age gracefully for a number of years yet the elegance to drink now and Philippe estimates they will age well for 20+ years. With the structure, fruit, acidity and balance these wines will continue to evolve and develop additional intriguing complexities. The name Dana is Sanskrit, translating to “the Spirit of Generosity” and ties in to the “generosity” that nature hopefully gives each year with its production. In addition, each bottle of Dana Estates contains 12 lotus flowers, each representing the 12 months of the calendar year. Lotus flowers also signify rebirth and in this case symbolize the rebirth that the vineyards experience every year. my name is chris cho living marin county last 30 years . very interesting your wine. I would like to tour your winery if you have any open spot. thank you please let me know .